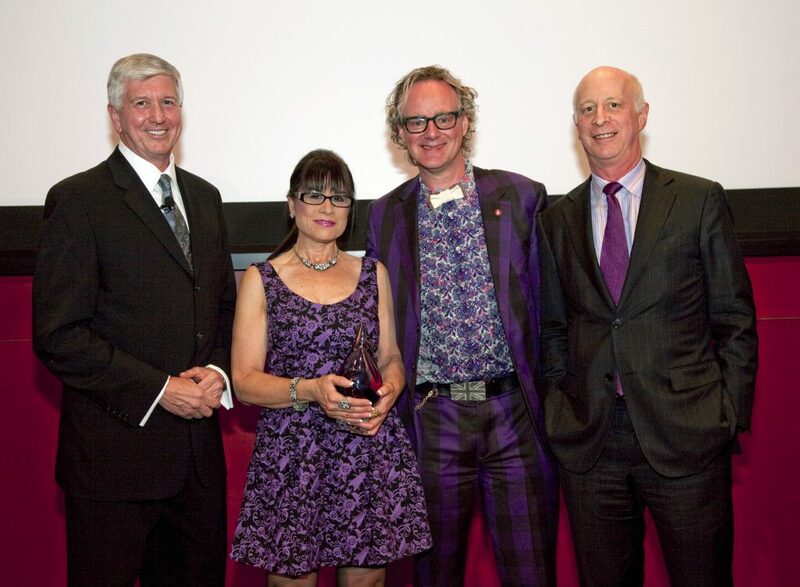 Playmakers Sharon Exley, MAAE and Peter Exley, FAIA, of the colorful design studio of Architecture is Fun, Chicago, have been named as Benjamin Moore HUE® Award Winners for Contract Interiors. The prestigious award is bestowed annually for a passionate and meaningful use of color in design. 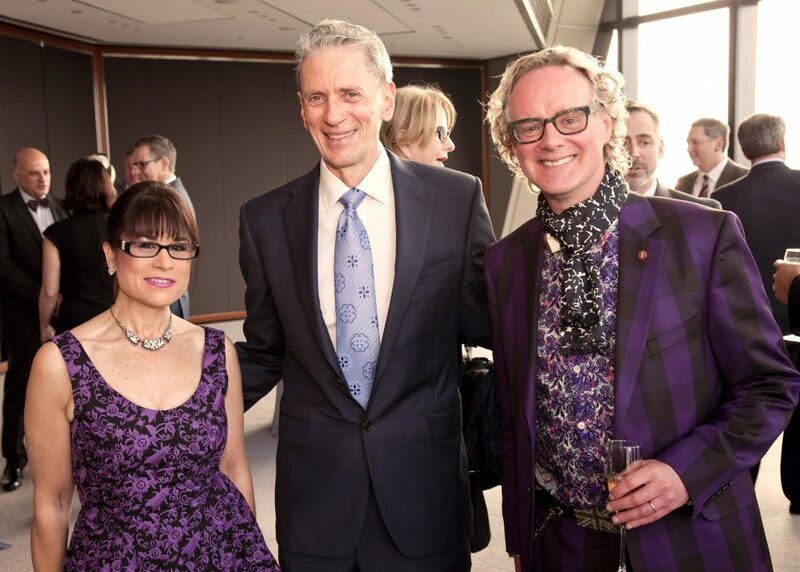 Sharon and Peter received the award at the HUE® ceremony on Tuesday, April 3, 2012 at the Hearst Tower, 300 West 57th Street, New York, New York. The 2012 jury included: Paul Goldberger, architecture critic for The New Yorker; Tim Murray, former creative director, TARGET Creative Vision Group; Hans Neubert, executive creative director, frog; Linda O’Keeffe, design author and former creative director, Metropolitan Home magazine; and Gary Panter, artist, graphic designer, and set designer for the original Pee-Wee’s Playhouse. Peter and Sharon Exley head Architecture Is Fun, a 18-year old practice dedicated to architecture and experience-based interiors for play and learning. Daring and dynamic color infuses their work and imbues it with meaning and engagement. The duo’s award-winning portfolio includes a compelling and visually dazzling series of museum, church, library, public spaces, and educational projects across the county and in South America. Projects winning them recognition as colorful playmakers and visionaries for participatory places include: the eye-popping palette that transformed an abandoned car dealership into the Mid-Michigan Children’s Museum, now a catalyst for community revitalization; the Pritzker Family Children’s Zoo at Lincoln Park Zoo where the perennial springtime palette connects children and families with nature invigorating a public landmark; and, most recently, the sparkling public space design of The Interactive Science Forum of the Latin School of Chicago that is the new wave of education. In addition to architecture, interior, exhibit design and learning environments, Architecture Is Fun has ventured into product design that brings the firm’s signature use of color, whimsy, and delight to customized specialty furnishings and materials, objects and collectibles. Their first wallpaper, the vibrant and charming Peter’s Musings, is available now in Studio Printworks Great Contemporary Artists Collection. A line of play-based furnishings is planned to follow. Sharon Exley recently announced the formation of Fun Finders, a procurement and production studio for art, specialty design and curious goods. Other competition honorees of the 2012 Benjamin Moore HUE® Award include D’Aquino Monaco Inc, New York, for Residential Interiors and, Publicolor, for Social Responsibility; Muriel Brandolini received the HUE Lifetime Achievement Award, and 89-year-old itinerant muralist Virginia McLaughlin, of Frederick, MD, a Special Achievement Award.